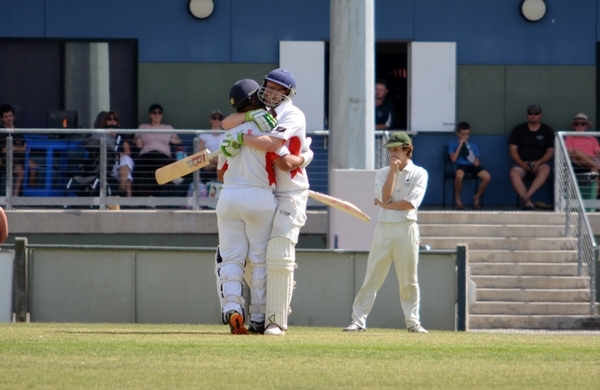 Ocean Grove broke a 16-year A Grade premiership drought after its memorable five-wicket BPCA A1 grand final win over Anglesea at Winchelsea on Sunday 24 March. 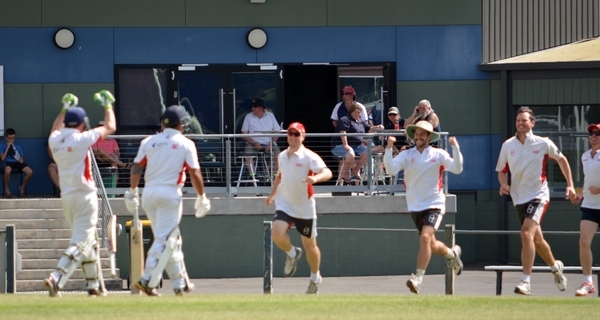 Winning premiership coach Paul Jubber said it was a proud moment for the club to claim an elusive Bellarine Peninsula Cricket Association A1 title after its last A Grade flag in 2002/03. 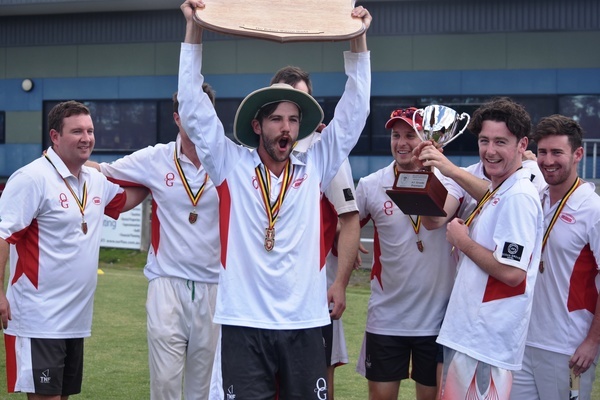 “I am super proud of the club and the boys and these been a lot of people who have done a lot of wonderful things around the place – it is terrific to repay with a premiership,” Jubber told the Voice. 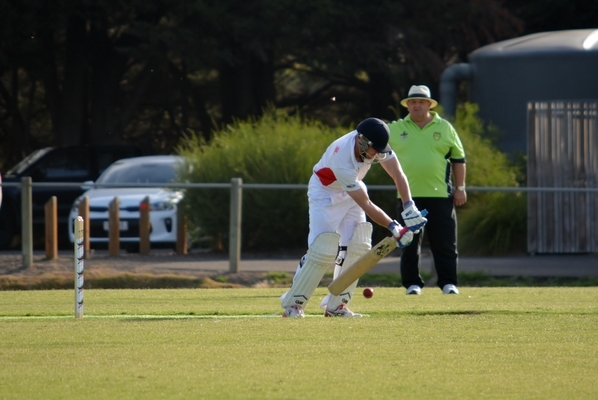 Last season Anglesea downed the Grubbers with victory in a rain affected two-day A Grade decider at Portarlington. The runner-up finish in 2017/18 was a motivating force for Jubber and his team to go one better this season. 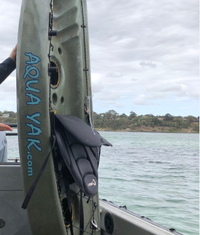 “A lot of ‘what ifs’ last year – this year there was unfinished business,” Jubber said. Jubber paid tribute to runners-up Anglesea after the match. 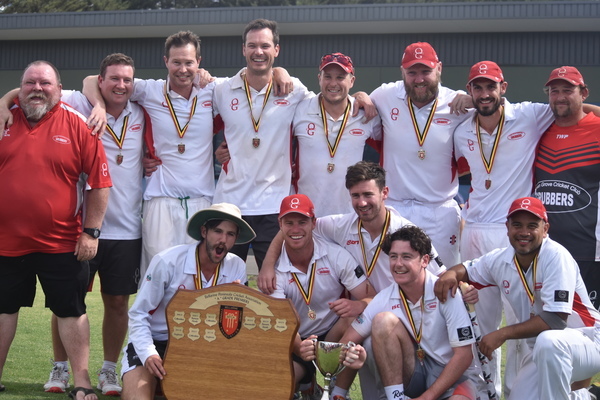 The Kangaroos have won two A Grade titles in the past four seasons and finished the 2018/19 season in top spot on percentage. Anglesea which hase now played in four of the last five BPCA A Grade grand finals, showed great sportsmanship and socialised with Grubbers players after the match. “They (Anglesea) are an amazing club,” he said. 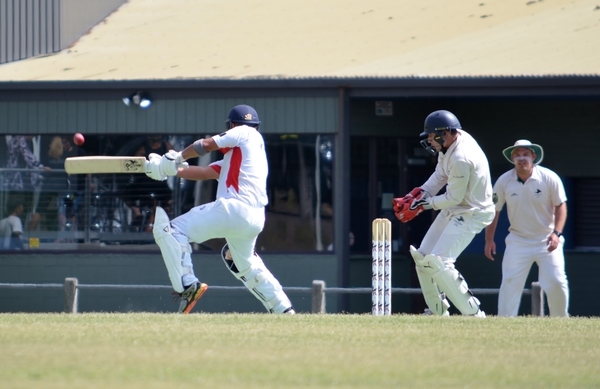 It was fitting Jubber and first year playing assistant coach Anton Scholtz were at the crease when the winning runs were scored to reach the victory target. 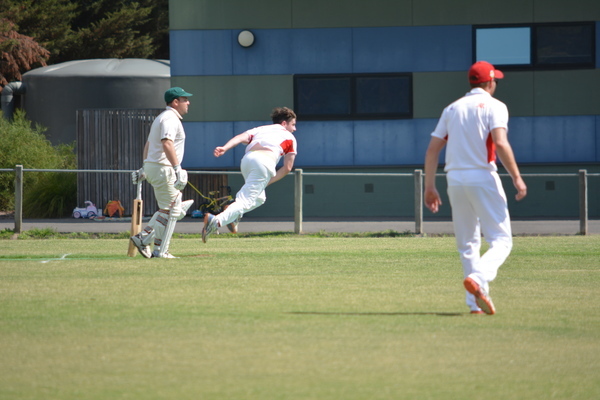 The Grubbers dominated on day one after bowling out the highly fancied Anglesea for only 137 from 52 overs. 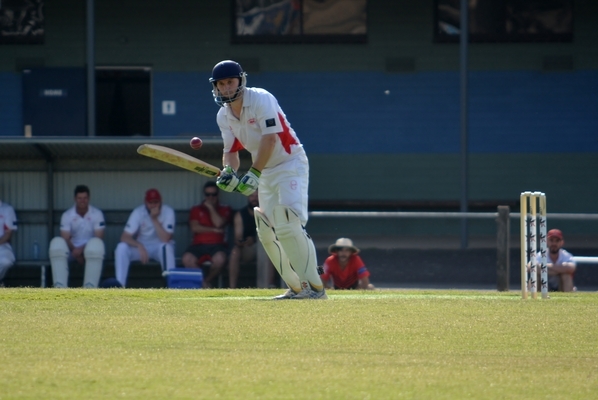 Anglesea all-rounder Brett Venables top scored with 32, while Darcy Cooper contributed with 30 and Tyler Ditloff made an unbeaten 31. 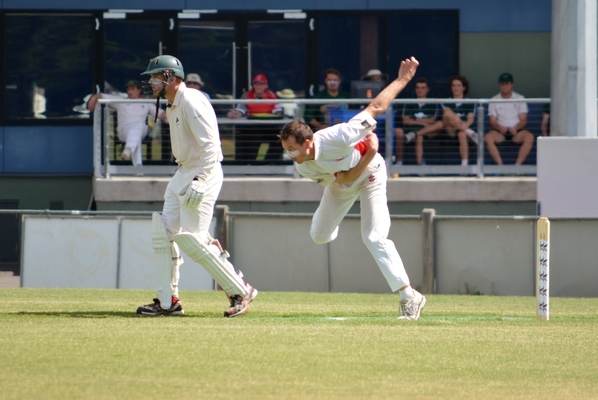 Ocean Grove spin bowler Tom Beasley had a remarkable finals series – he captured 6/47 from 18 overs on day one and spun the Grubbers to victory. Beasley won the prestigious Fred Warren Medal for his man of the match honour. 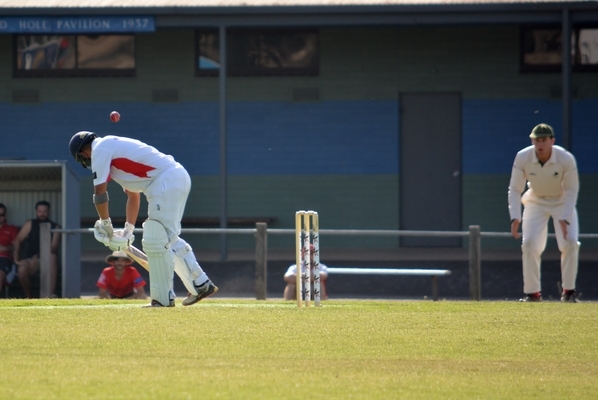 Sam Jubber took 2/52 from 18 overs. 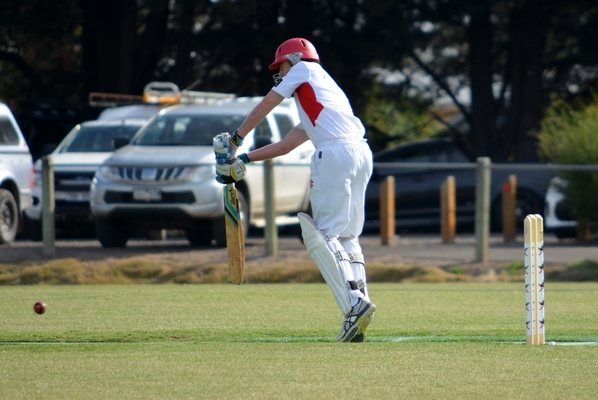 In reply at stumps on day one Ocean Grove was 3/49 and needed a further 89 runs for victory. 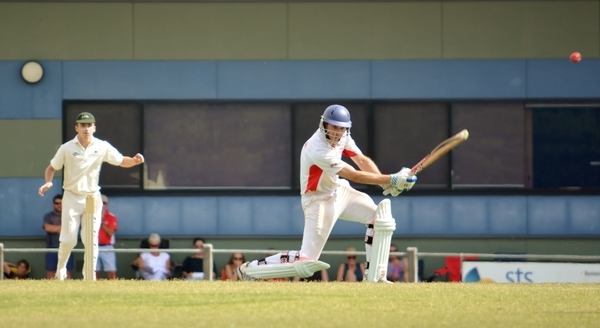 Scholtz was in sublime touch with the bat, he scored an unbeaten 77 and guided his side to victory. 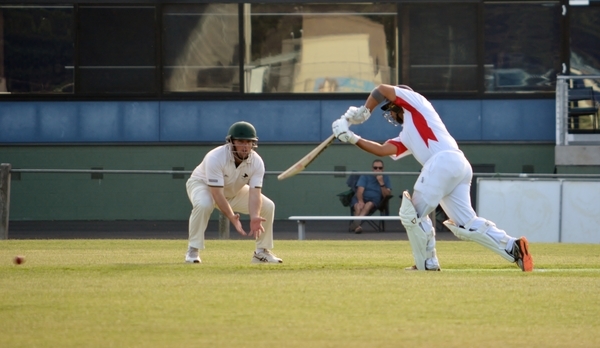 “For Anton you don’t play 40 or 50 district games of cricket if you haven’t got talent – he is a super talented player and when it counted he was outstanding in the back half of the season,” Jubber said. 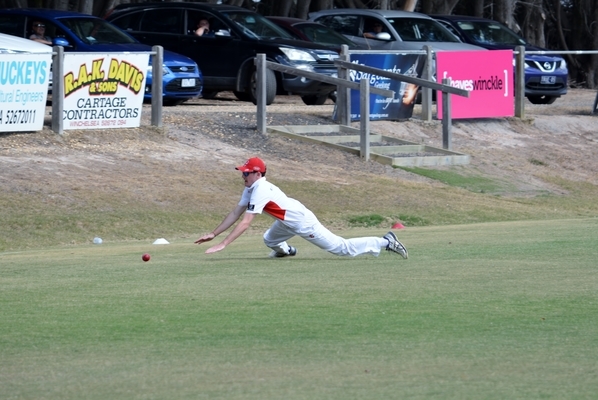 Anglesea speedster Dale Kerr was the leading wicket taker with 2/56 from 16 overs.